Fiker Rosen has apparently been on the Illinois youth distance running scene for the past several years. Rosen, of Quincy St. Peter School, won the 2016 and 2017 Illinois Elementary Association cross country titles. He smashed the Illinois State Meet record held by Wheeling HS legend Jorge Torres who competed for Prospect Heights MacArthur Middle School. Rosen opened eyes when he ran 9:43 for two miles on grass which was almost as 10 seconds ahead of the previous mark which stood since 1994. 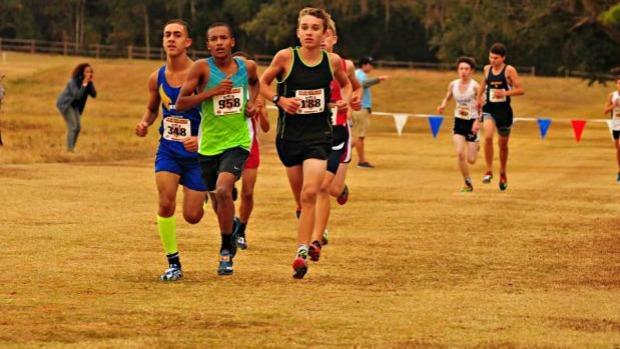 Several weekend's ago while the nation's best runners were vying for individual and team supremacy at the Nike Cross Nationals in Portland, Oregon, Rosen was dominating his share of high school aged boys at the AAU National Cross Country Championships in Charlotte, North Carolina. The 8th grader powered his way to a championship over the 5k layout in 15:48 in the 15-16 age group. Rosen's time was faster than the 17-18 group as well. But wait, 15-16 age group for an 8th grader? Rosen, who is 15, was adopted by Steve and Amy Rosen via an Ethiopian orphanage in 2013. It is not known as yet if Fiken will attend the natural progression to a catholic high school or go to a public one. Quincy Notre Dame seems like a logical choice but they don't have a track program. The latter Quincy HS is a 3A school as opposed to 1A for QND. Whatever school that Rosen attends he has some lofty goals. After learning that Torres ran 14:37 and finishing second in the state meet as a freshman, Rosen wants to run 14:30. In a non arrogant way Rosen feels as though he can achieve similar success his first time out. Regardless of what path that Rosen takes he would like to be one of the best in the state of Illinois and compete in the Olympics.